LEARN HOW TO MAKE THE TOP 6 ROLLER BOTTLE RECIPES ,FOR KIDS MOST COMMON ALIMENTS. 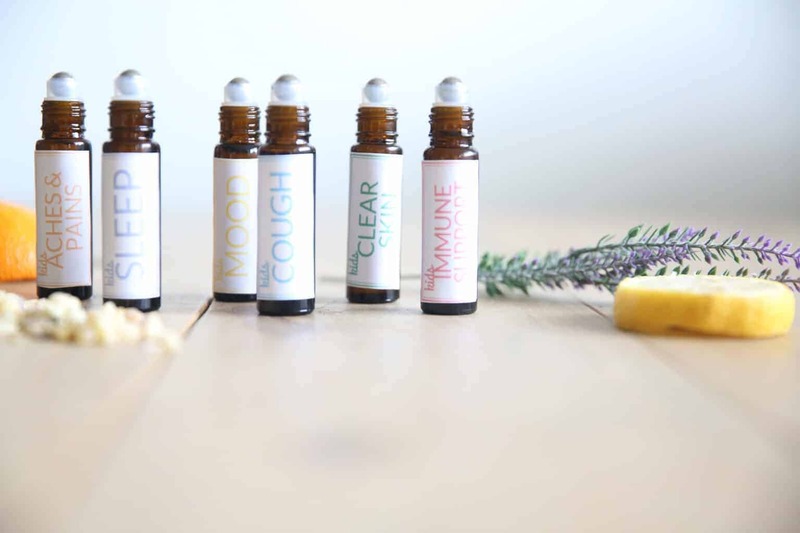 ESSENTIAL OIL RECIPES FOR KIDS WITH PRINTABLE LABELS. If you have been reading along for long you know I am a mother of 4 little monsters sweethearts. I love my children dearly, but man this whole parenting thing is hard work. Everyday is a new adventure and I am constantly learning along the way. I am fairly new at this, as my oldest is only 5, but I have learned that their is always something to worry about. Someone is sick, someone is hurt, someone is mad, someone is sad, someone is being mean, someone fall down…the list goes on and on! Being an avid essential oil user, I am incredibly thankful to have these little concentrated, God sent, bottles on hand. Honestly, we run to them multiple times every. single. day. 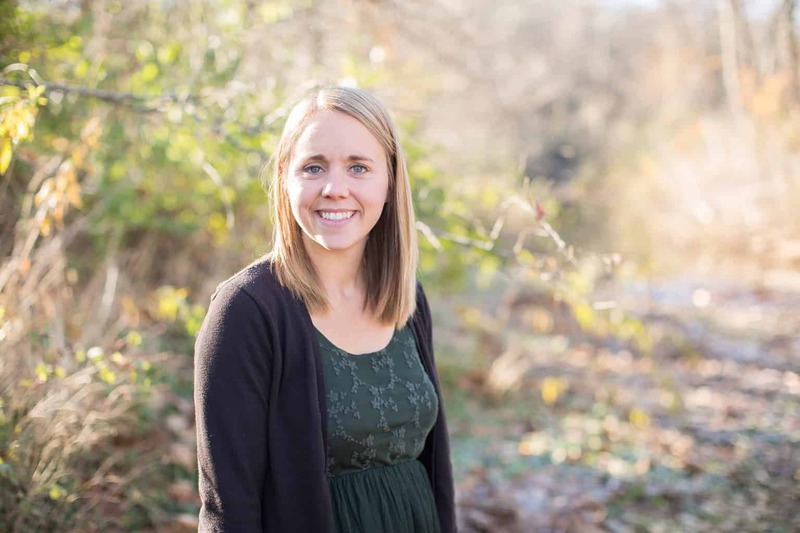 I have shared tidbits of information throughout the blog about using essential oils on kids, but because it is my most asked questions I thought it be fitting to share a master post on the subject. I am going to share my top 6 roller bottle recipes for kids that I use very often on my own kids. Check out my online resource library for printable labels for your roller bottles. The best blend to boost your child’s immune system when dealing with environmental threats. A blend for all things skin, including: rashes, bruises, cuts, and burns. 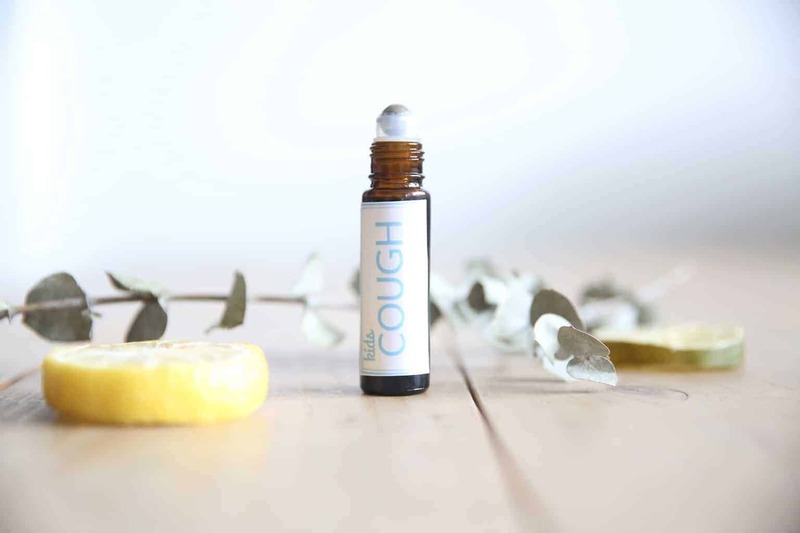 The best blend to use when your child has a cough, runny nose, or dealing with seasonal threats. A roller bottle for childhood aches, growing pains, and bruises. 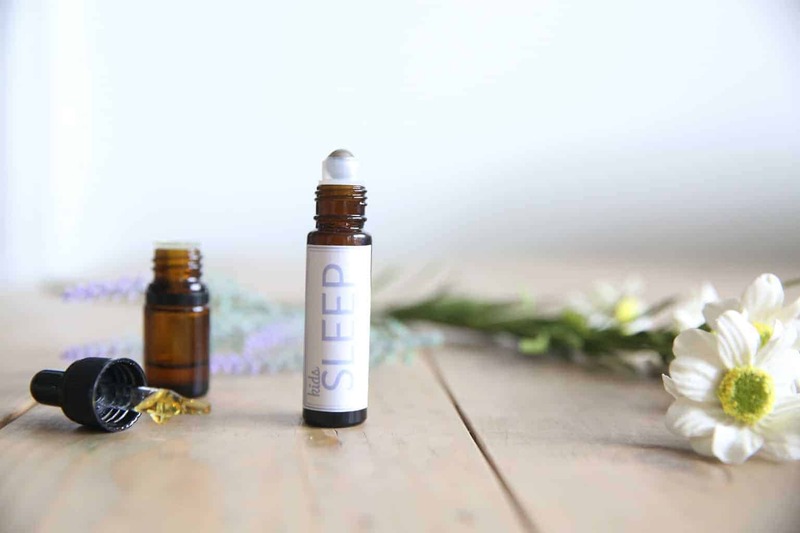 The best roller bottle blend to help your child relax and have a better night sleep. 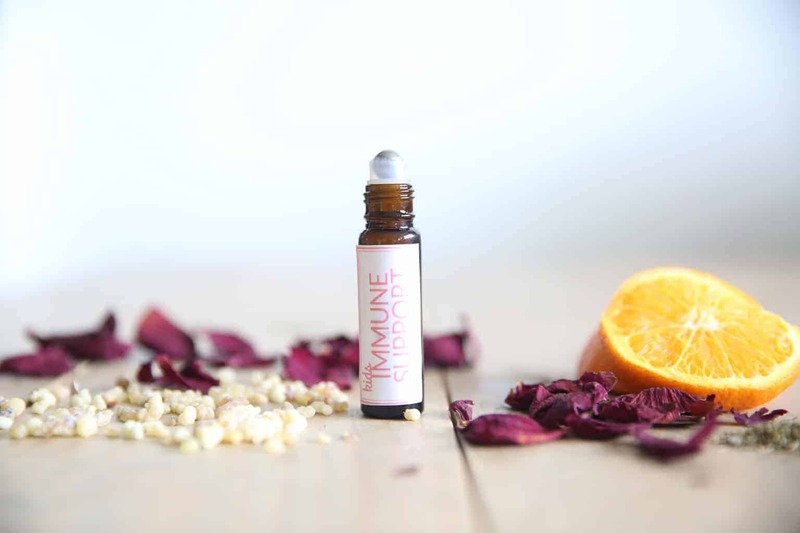 This blend can be used to boost the immune system or when your child isn’t feeling their best. 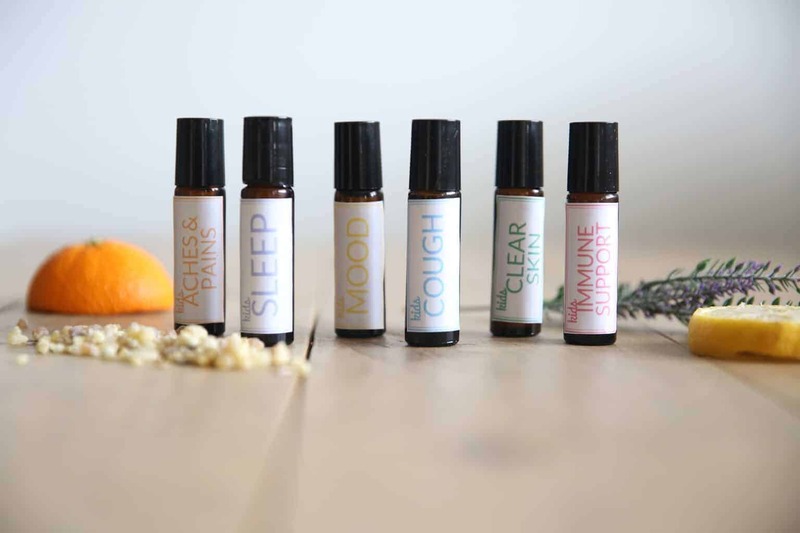 Add 4 drops frankincense essential oil, 3 drops rose essential oil, 2 drops wild orange essential oil, and 1 drop oregano essential oil to a 10mL roller bottle. Apply twice a day to boost the immune system or every hour if your child isn’t feeling well. Apply to the bottom of feet, on the wrist, and down the spine. This blend can be used for any skin imperfections: rashes, bumps, bruises, eczema, cuts, scraps, or blemishes. Add 4 drops frankincense essential oil, 3 drops lavender essential oil, 2 drops melaleuca essential oil, and 1 drop helichrysum essential oil to a 10mL roller bottle. Top the roller bottle off with a carrier oil, my favorite one is fractionated coconut oil. Apply to the area of concern as needed. If you are dealing with a rash or cut apply often to help purify and cleanse the skin. This blend can be used on your child when they have a cough, runny nose, congestion, or seasonal threats. Add 4 drops eucalyptus essential oil, 3 drops peppermint essential oil, 2 drops lemon essential oil, and 1 drop lime essential oil to a 10mL roller bottle. 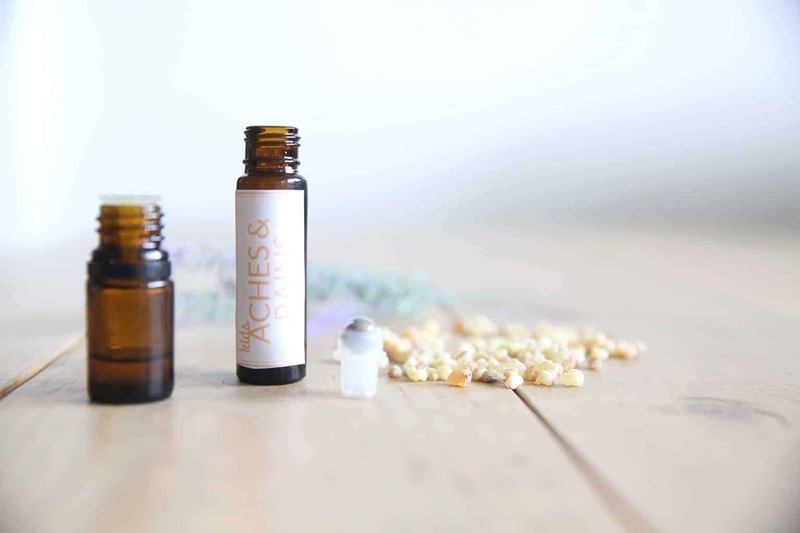 This blend can be used for growing pains, sore muscles, or a stiff neck. Add 4 drops copaiba essential oil, 3 drops lavender essential oil, 2 drops wintergreen essential oil, and 1 drop frankincense essential oil to a 10mL roller bottle. Apply to the area of concern as needed. This blend can be used to help calm and relax your child, and promote a healthy night sleep. Learn more natural solutions for a healthy night sleep HERE. 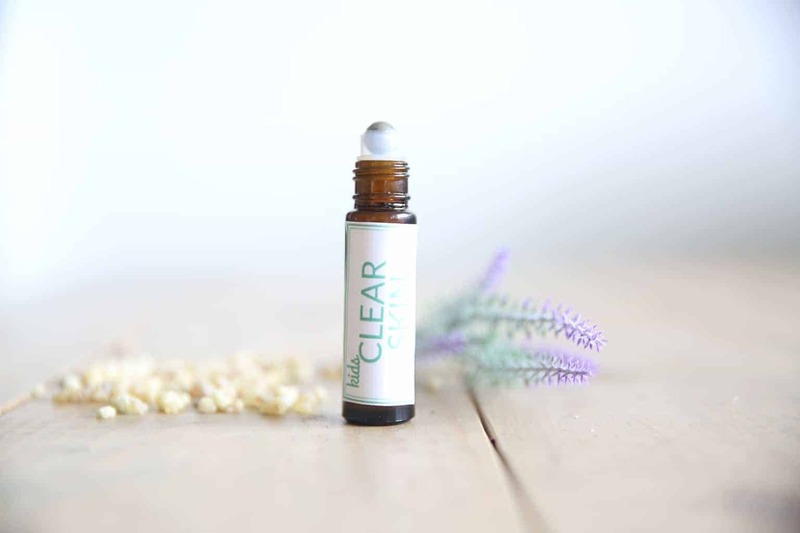 Add 4 drops lavender essential oil, 3 drops roman chamomile essential oil, 2 drops cedarwood essential oil, and 1 drop vetiver essential oil to a 10mL roller bottle. Apply to the jawline, bottom of feet, and on the back of the neck before bedtime or nap time. This roller can also be used to help child calm down or relax if feeling anxious. 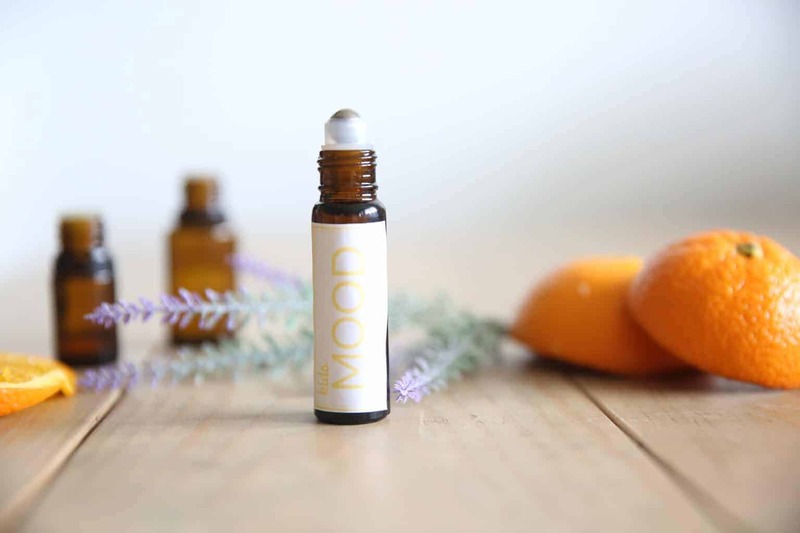 This blend can be used to promote a positive and uplifting mood. Get my tantrum tamer roller bottle recipe HERE. Add 4 drops wild orange essential oil, 3 drops sandalwood essential oil, 2 drops bergamot essential oil, and 1 drop lavender essential oil to a 10mL roller bottle. Use when child is cranky, angry, or mad. Apply to the child’s pulse points as needed. Which essential oil roller bottles are a must for your kids? Share your favorite roller bottle recipes for kids in the comments! I love the blends you chose! I need to add them into our oily rotation! Hi there, I have just watched a few of your videos on blends for adults as well as the kids. Love the recipes. Thanks so much for the kind words, I am glad you are enjoying my content! Labels for roller bottles ..
Hi Laura – was just watching your video on 6 roller bottles for kids on YouTube.. you mentioned you had printable labels? Can’t seem to locate the link .. please advise. I have a question regarding Essential Oil that are not recommended for Children- specifically The essential oil Wintergreen. I am new to essential oils and loved your video for top 6 essential oil rollers for kids; I started gathering oils to make those kids rollers myself when I came across the Kids Aches and Pains Roller with Wintergreen essential oil in it and was a bit confused as I had previously read from several different sources that Wintergreen should never be used on kids under the age of 10 due to the high content of Methyl Salicyate. I value all the educational content you have within your website as it is very helpful and informative so I wanted to inquire to see if there is any merit to the claim that wintergreen essential oil shouldn’t be used on kids as it can be confusing reading contradicting information about oil safety and kids and I don’t want to unnecessarily pose any health risks to my kids. Also, do you have a list of the oils to avoid with kids? Thanks! Very good question and one that I get often. 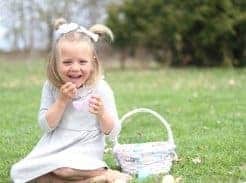 A lot of the articles you find online about essential oil safety for children, especially concerning the mint oils and eucalyptus, are talking about essential oils that are not pure. You really have to be careful on the oils you are using because they are to regulated by the FDA. Unfortunately, a lot of essential oils on the market have added fillers, contaminants, and chemicals that shouldn’t be in there. If you are using high quality essential oils and they are diluted properly all oils can be safe for children. 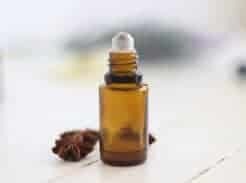 Here is a great article talking about this further: https://www.doterra.com/US/en/blog/science-research-news-peppermint-eucalyptus-use-children.